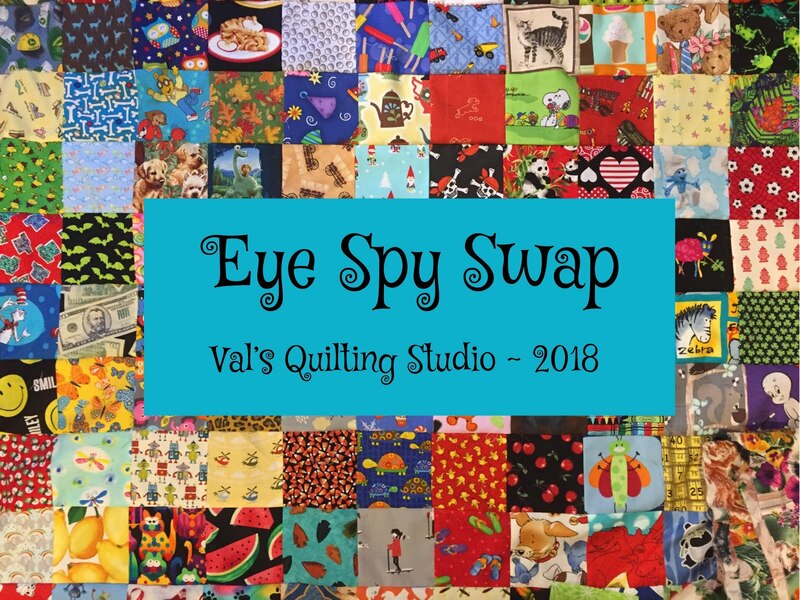 Val's Quilting Studio : Winter Sewing! I literally woke up at 5:00 am with sugar plums of sewing and quilting dancing in my head! "Yep! It's time to uncover the ol' long-arm and get going again Val!" 1. Both Sun Bonnet Sues: FMQ/Cross-hatching done! 2. Christmas Charms: Christmas Pantograph done! See it here. 3. Project Linus: Cute children's pantograph done! See it here. 1. Quick charm pack top done! See it here. 2. Paw Patrol Receiving Blanket done! See it here. 2. Get out the ol' Neighborhood Blocks and play! I did! See here. 3. Work on my Metro Rings. 4. Start a "made fabric" project.I did! 2. My January Wool Banner done! See it here. maybe find a little inspiration along the way. I wrapped the last of the grandkids' gifts - will pick Mom's gift certificate tomorrow - I am so done! Oh yes, those ambitious lists. My problem is after making the list I almost feel as if I've accomplished something and I need a nap from all that effort! You go girl and don't forget to take a nap. So much ambition! 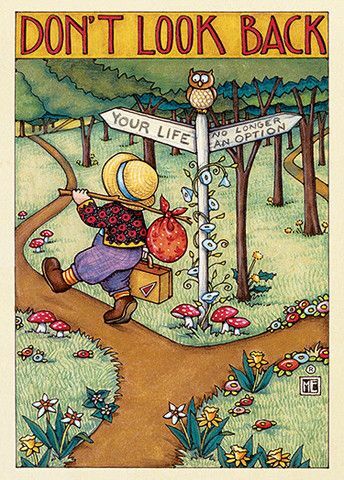 I am looking forward to a quiet little break after a long, busy quilting season. I do plan on cleaning up my sewing space however! Enjoy your holiday vacation. Wow your list is impressive. I am sure you will get a lot accomplished during your break. Have a great holiday break. Love looking through your windows! Have a fabulous school break and a Merry Christmas! You have a big to do list! 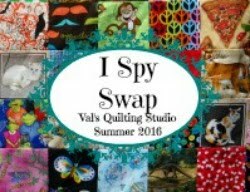 I am teaching the Quilty Fun row along as a BOM this year. I am nervous about teaching adults--we are starting with the cocoa cups in January. 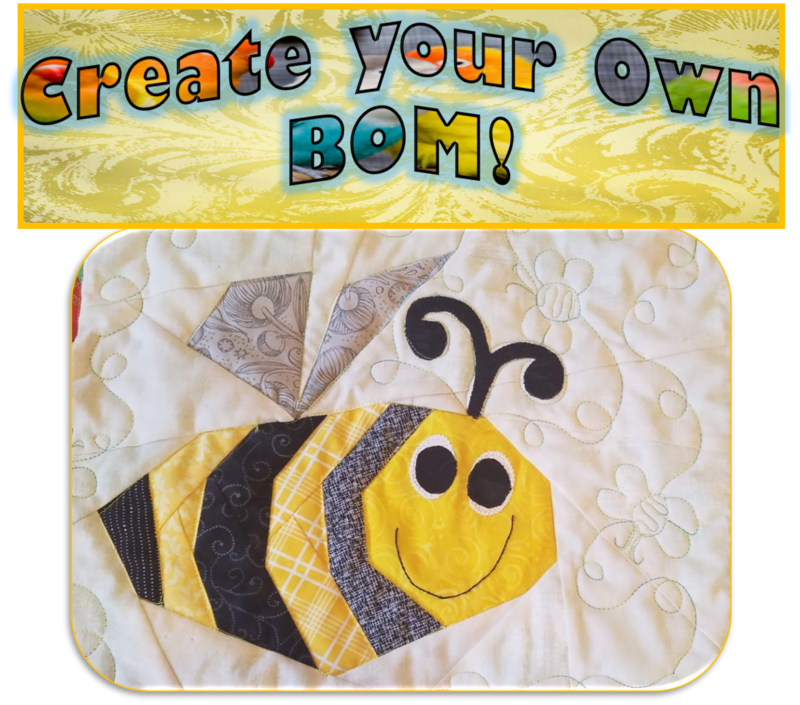 Enjoy the weather and your cozy quilting. Sounds like fun, I would be ecstatic to spend several days of quality sewing time! Stay warm, and have fun! You can do it, Val! Looks like you've already made a good start on a great list. Have a very merry Christmas! It is so hard to imagine that somewhere in the world it looks like that right now. I feel like jumping into that photo and rolling in the snow so I can cool down a little bit. That's a great view through the window, it reminds me a little of Santa's workshop. It looks rather bleak over there...BUT....what a glorious sight peaking into your light-filled studio. It looks so pretty with those dancing lights showcasing your quilts. Have the most wonderful Christmas...AND....have fun stitching!! Enjoy your sewing! A perfect pursuit when the weather is cold and nasty. I love the photographs from outside! So cute! Your studio looks so nice, thanks for the peek. 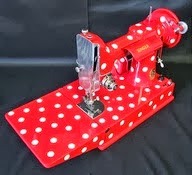 Enjoy all of your "sew" days! I'm soooo jealous!!! Looks like we are having a very green Christmas this year. I miss cold snowy Christmases. It's been awhile since the weather has cooperated. Hopefully no one from where I live is reading this...they may club me :) Hope you have a very productive holiday, Val. Enjoy your holiday break and making progress on your list. The peek through your windows is so inviting...why would you ever leave that room?!! Enjoy your break, Val, and good luck tackling your list. Your longarm will be happy to dance with you again, I'm sure!